first half of 1st century A.D.
Inscription: Greek inscription encircling the body of the cup at its widest point: "Be glad that you have come" (translation). 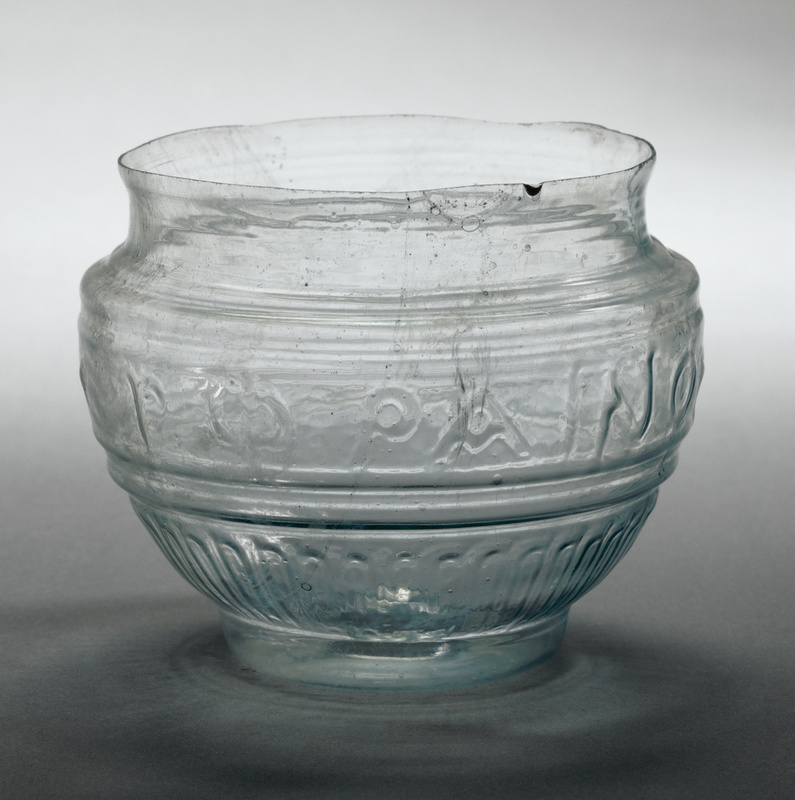 "Be glad that you have come" reads the Greek inscription encircling this Roman mold-blown glass cup. This common expression urging the drinker to enjoy the moment is typical of the friendly exhortations found on early Roman cups. Glass vessels decorated with inscriptions were extremely popular in the first century A.D. and were found throughout the Roman Empire. An artisan made this cup by blowing glass into a baked clay mold, a technique that originated in the first century A.D. in the area of Roman Palestine. This technique allows the mass-production of identical vessels. At first, the new technique was employed to produce ornate vessels, but simple forms were soon manufactured as well. Mansour Gallery (London, England), sold to the J. Paul Getty Museum, 1995. "Recent Important Acquisitions Made by Public and Private Collections in the United States and Abroad." Journal of Glass Studies 38 (1996), p. 229, no. 1. "Acquisitions/1995." The J. Paul Getty Museum Journal 24 (1996), p. 90, no. 10.